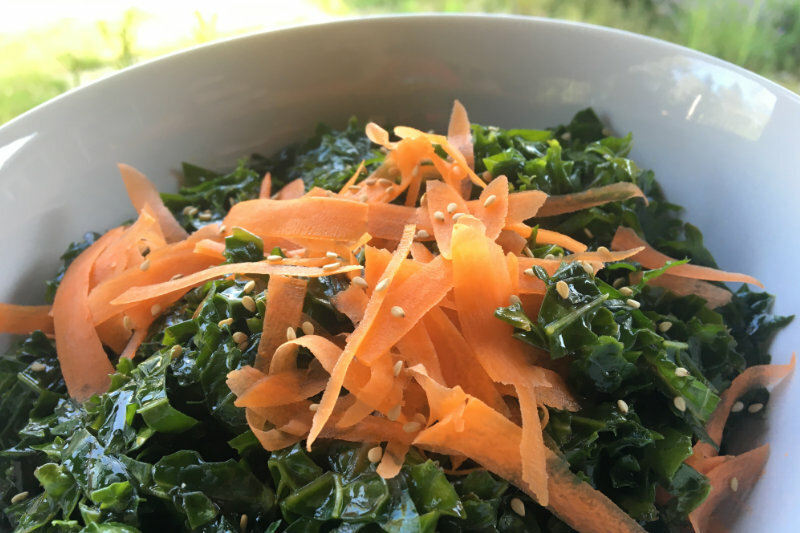 If you’ve only ever eaten kale in soup, it’s time to try this fresh kale salad recipe. Pour dressing over kale. Massage with your hands 5-10 minutes. Let sit to marinate for 10 minutes. You can add additional ingredients if you’d like, such as grated carrots, chopped radishes, lettuce, sprouts, raisins, nuts, sesame seeds, etc.